Thirteen marks the final entry for full-length novels in the Otherworld series. 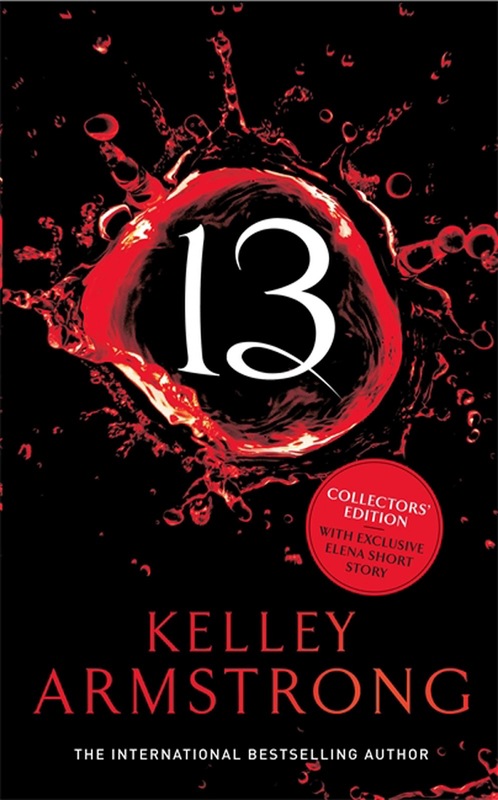 Perhaps uncreative with its title, Thirteen can also indicate bad luck and superstition, so maybe it works well enough. I'm happy the author changed the formula up a bit by having this be multiple point of view. The series has been filled with a few mains, not just one, so having their individual perspectives makes sense. Still she mainly makes this a Savannah book, leaving the young witch as the focal point to wrap up the series. Kind of strange considered it started and continued so strongly with Elena, but Elena does get her ending and wrap-up here too. A surprising perspective is Eve, who grew on me with 13. Jaime has some fun moments as well. Switches sometimes leads to a little realism of personality lost. That's unfortunate but it's still workable if you already know and love the characters by reading the twelve books preceding it. Another bad thing about doing the technique of switching points of view of main characters throughout a series is that you have to make the characters stand apart with different personality traits and voice. You can't just depend on the person's hang-ups with their life and how they're different just because they have different abilities. Armstrong mainly succeeds with that, especially through Elena in the earlier books, Jaime, Paige and Eve. By the time I get to Savannah, she seems to be a blend of the group. She stood out as her own personality in earlier books more than being in her head. A disappointment I have with the series is Adam. He is introduced in Stolen and we get so little of him until Savannah finally grows up and develops a relationship with him. Through glimpses in earlier books he is shown as fun and intriguing. In Stolen he's showing as three dimensional with rough edges that may turn dangerous if provoked. Through Paige's books he's shown as incredibly powerful and rare. When he finally gets into his own books with Savannah, however, he comes across plain with power, generic in personality and a little dull. Such a shame. Instead with Savannah's books he's lukewarm (no pun intended), vanilla and rather boring. There is no spark of individuality, playful banter, bizarre humor, or risk taking. His personality is kind of just there, as is their relationship. Thirteen does excel with how well it wraps up so many connecting story-lines. I'm happy with everyone's ending. There's a surprise thrown in with a returning villain who everyone thought was long gone, and there's another surprising redemption with an enemy everyone knew was around but had written off as purely wicked. Fans of the series should be pleased. It's better than some of the other final books, regular characters are granted much needed page-time, there's a creatively done story that brings all the supernaturals together to fight, and we get to see more people's happily-ever-after. Until the short stories that is...Keep bringing them on too. This series is awesome and I hate seeing it end.